Here we compiled all of the 1/700 scale waterline series model warships for the Japanese Heavy Cruisers of the Imperial Japanese Navy IJN from four main manufacters: From Tamiya model kits to Aoshima, Fujimi and Hasegawa models. In total, 18 model ship heavy cruisers. 1/700 model ship for the Japanese heavy cruiser CA Aoba from Hasegawa. 1/700 model ship for the Japanese heavy cruiser CA Kinugasa from Hasegawa. Constructed 1/700 model ship for the Japanese heavy cruiser CA Aoba from Hasegawa. Constructed 1/700 model ship for the Japanese heavy cruiser CA Kinugasa from Hasegawa. 1/700 model ship for the Japanese heavy cruiser CA Furutaka from Hasegawa. 1/700 model ship for the Japanese heavy cruiser CA Kako from Hasegawa. Constructed 1/700 model ship for the Japanese heavy cruiser CA Furutaka from Hasegawa. Constructed 1/700 model ship for the Japanese heavy cruiser CA Kako from Hasegawa. 1/700 model ship for the Japanese heavy cruiser CA Mogami from Tamiya. 1/700 model ship for the Japanese heavy cruiser CA kumano from Tamiya. 1/700 model ship for the Japanese heavy cruiser CA Mikuma from Tamiya. 1/700 model ship for the Japanese heavy cruiser CA Suzuya from Tamiya. Contsructed 1/700 model ship for the Japanese heavy cruiser CA Mogami from Tamiya. 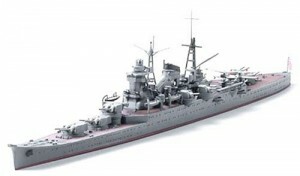 Constructed 1/700 model ship for the Japanese heavy cruiser CA Kumano from Tamiya. Constructed 1/700 model ship for the Japanese heavy cruiser CA Mikuma from Tamiya. Constructed 1/700 model ship for the Japanese heavy cruiser CA Suzuya from Tamiya. 1/700 model ship for the Japanese heavy cruiser CA Myoko from Hasegawa. 1/700 model ship for the Japanese heavy cruiser CA Ashigara from Hasegawa. 1/700 model ship for the Japanese heavy cruiser CA Haguro from Hasegawa. 1/700 model ship for the Japanese heavy cruiser CA Nachi from Hasegawa. Constructed 1/700 model ship for the Japanese heavy cruiser CA Myoko from Hasegawa. Constructed 1/700 model ship for the Japanese heavy cruiser CA Ashigara from Hasegawa. Constructed 1/700 model ship for the Japanese heavy cruiser CA Haguro from Hasegawa. Constructed 1/700 model ship for the Japanese heavy cruiser CA Nachi from Hasegawa. Model Takao-class cruisers: Cruiser Takao (Aoshima), Cruiser Maya (Aoshima), cruiser Chokai (Skywave & Aoshima) and Cruiser Atago (Aoshima). 1/700 model ship for the Japanese heavy cruiser CA Takao from Aoshima. 1/700 model ship for the Japanese heavy cruiser CA Maya from Aoshima. 1/700 model ship for the Japanese heavy cruiser CA Chokai from Aoshima. 1/700 model ship for the Japanese heavy cruiser CA Atago from Aoshima. 1/700 model ship for the Japanese heavy cruiser CA Tone from Aoshima. 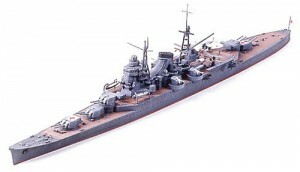 1/700 model ship for the Japanese heavy cruiser CA Chikuma from Fujimi. You’ve labelled your pic of the built 1/700 model of either Tone or Chikuma ‘Mogami’. Thank you for your comment, Tim. i can’t find the typo or mistake. May you please specify which one has the mistake?